I’m all sentimental about bus trips after spending much of the past few days riding around Florida with the Toronto Symphony. Here’s a list of movies that show us different aspects of life on the road, presented in reverse order a la David Letterman. Numbers 10, 9 and 8 are variations on fear on the buses, reminders that there can be danger. I will put these aside right away because I want to make you smile or giggle, not scream in fear. #10-aka “who’s driving this thing?” Keanu Reeves vs Dennis Hopper with Sandra Bullock screaming for help in the driver’s seat, in Speed. Early in #9 we see a slow-motion bus crash that is the beginning of a lifetime of pain, as seen in Julie Taymor’s Frida complete with surreal puppets. But violence and terror aren’t always horrible. In #8 the big bus crash set-piece begins a man’s redemption. It’s scary –especially on the big screen where I was lucky to see it—but powerful stuff, as Harrison Ford leads Tommy Lee Jones a merry chase, in The Fugitive. #7 is a film I cited recently when speaking of politics. There are tons of great bus scenes in Bull Durham, a movie that romanticizes failure, making you feel a bit better about being a minor leaguer. I pick this scene because hey, I was riding with musicians. And looking at this clip, listening to Crash Davis ranting, you might say “everyone’s a critic”. If only we could be this eloquent. And speaking of music, for #6 why not a song? How about Bono singing “I am the Walrus” from Across the Universe: a film with a few bus scenes. #5 is from the “Stranger in a Strange Land” category, a bus full of people who all know one another, looking at the newest passenger as though he’s from another planet: the scene at the end of Ferris Bueller’s Day Off. Where has Jeffrey Jones gone? And speaking of classical music remember him in Amadeus? where is he now? And here’s another one of that scary feeling stepping into a bus for the first time. In #4 schoolbus driver Siobhan Fallon meets young Forrest Gump. I won’t tell you the name of the film. The young lad will do that for you. In #3 – Mean Girls – the bus is an avenging angel. In #2 the bus is the pathway offering a couple their escape to a new life, at the end of The Graduate. In #1, one of the first great road movies, a new life is again dreamt of, namely It Happened One Night. Listen to “The Man on the Flying Trapeze”. Did people once sing this way in public? Have we perhaps lost something in our transition to commodified music that we don’t make ourselves? For me this series of bus rides is done, although for the musicians there will be other tours, other buses. I’m so lucky to have had this delightful adventure aka #TSOflorida. This entry was posted in Cinema, video & DVDs, Personal ruminations & essays and tagged #TSOflorida, Toronto Symphony. Bookmark the permalink. 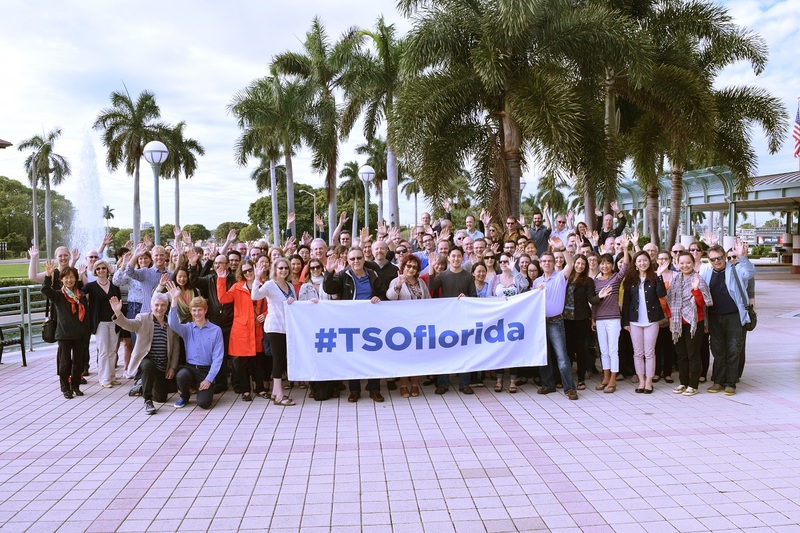 I have enjoyed your reports with the TSO from Florida – sounds like you’ve had a great time! One other movie you might consider for bus scenes is “Almost Famous.” In fact, the hero puts me in mind of a young version of yourself, except he covers the pop scene! Wow thanks… i must check this out!